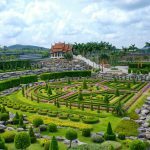 If you are heading off to Thailand you need to make sure your devices are compatible with the power sockets in Thailand or if you need a world travel adapter. We’ll cover all the different Thailand power plug types, power conversion, and a few extra tips for the modern day traveler with a lot of electronics gear. Most Thailand power outlets support one of three different types of power plugs, types A, B, & C. However there are still some older buildings that only support two prong plugs (types A and C). While you shouldn’t have to worry as most modern hotels use outlets that support both the two prong and three prong (grounded) plugs, it’s best to have an adapter to allow you to use the two prong outlets just in case. Otherwise you might be stuck, unable to charge your laptop or other 3 prong devices. Type A: This is the common two prong plug type found in both North America and Japan. You can use your American power plugs in Thailand. 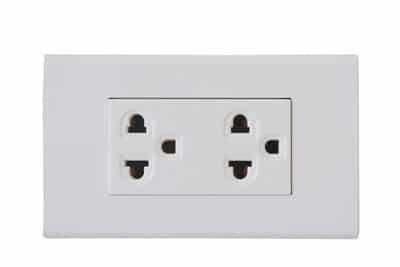 Type C: This type of plug has two round prongs and is used mainly in continental Europe, Russia, and several other various nations of the world. If you are from one of the other Nations that have a less universal type of power outlet you are going to need to bring a travel adapter. There are a few choices when you want to buy a travel adapter for Thailand. The first is a cheap and easy solution that slips onto your power plug and fits one of the supported types listed above. They are inexpensive; however, you need to buy quite a few of them if you do a lot of traveling. Some come in kits with half a dozen different adapters. They are easily lost or left in hotel rooms. I much prefer the new style world travel adapters. They are usually a larger block (harder to lose) and contain all the different plug types you could possibly need. They are very handy and harder to misplace when you are quickly packing up your things before checking out of your hotel. The downside is they are a little bulky, and if you don’t plan on traveling to many different countries, it might be a waste of space. Amazon has a broad selection to choose from. Note: Adapters do not convert voltage, they only let your devices plug into the native outlets of the country you are visiting. We’ll talk voltage and power conversion next. Thailand wall outlets run on the 220V electricity. There are two standard wall voltages in the world: 100V-125V and 220V-250V. If your device is rated for the 100V-125V range and you plug it into an outlet in Thailand it will be damaged. That being said, most modern electronic devices are dual-voltage. This means they will automatically convert the electrical voltage appropriately and you don’t need to worry about damage or buying a separate power converter. You will want to check each device before you leave to make sure it is dual-voltage. Look at the power supply (the box that is part of the power cable) and they will say something along the lines of 110/220V. This maybe on the label or imprinted elsewhere. If you can’t find it on the power supply, check the manufacturer’s website. Some older devices have a manual switch on the power supply that you need to flip. Best to do this before you even put it in your suitcase and remember to switch it back when you get home. If your electronic device or appliance doesn’t have voltage switching you’ll need to look into a travel power converter. If you have a lot of electronics device like most modern travelers, a single power adapter is only going to let you charge one, or maybe a couple devices at a time. For instance, you can plug your computer into the wall socket and charge a couple of USB devices off of it. That often isn’t enough if you have a camera, kindle, iPad, iPhone, electric razor, and so on. That is where the travel power strip comes in and it is a must for modern travelers. Even if you don’t need an adapter it allows you to charge more devices (including USB devices) and provides surge protection so your electronics stay protected. Update: After doing a lot of research on travel surge protectors, I’ve found most do not protect against 220v currents which kind of defeats the purpose. I’ll continue my research and provide a link to a good product once I’ve identified a solution. However having a power strip is still handy for charging multiple devices even without the extra protection. So you managed to make it to Thailand but realized once you got here you forgot your travel adapter and your device won’t work with the Thailand power plug. As mentioned earlier, those small travel adapters are easy to forget and are often left behind in hotel rooms. Ask your hotel if they have an adapter you can borrow. They probably have a box of various types that they have collected over the years. 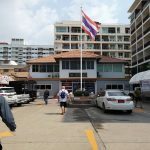 If you’ve forgotten your adapter and the hotel you are staying at doesn’t have one you can borrow, it should be pretty easy to find one to buy in Pattaya. 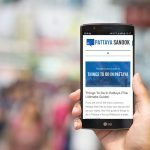 The first place to look would be Tukcom IT Center on Pattaya Klang. They’ve got just about any type of electronics gear you could need, and I’m sure you can find a travel adapter in one of their shops.